Add a fiesta of flavour to chicken with garlic, lime and fresh greens. 1. Preheat the oven to 190ºC (170ºC for fan assisted ovens), gas mark 4. Grease a 1.5 litre baking dish with cooking spray or oil. 2. 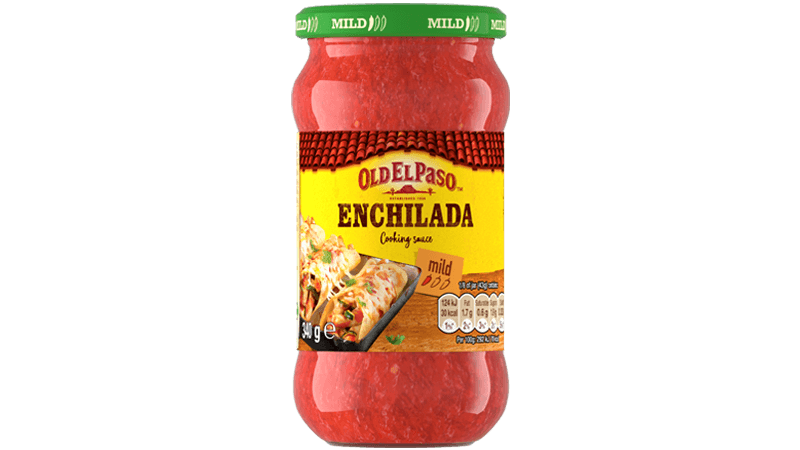 Place the enchilada sauce, coriander, parsley, lime juice and garlic into a blender or food processor. Blend on a high speed for 30 seconds or until smooth. 3. Mix the chicken and 3/4 (about 80g) of the cheese in a small bowl. Divide the chicken mixture among the tortillas. 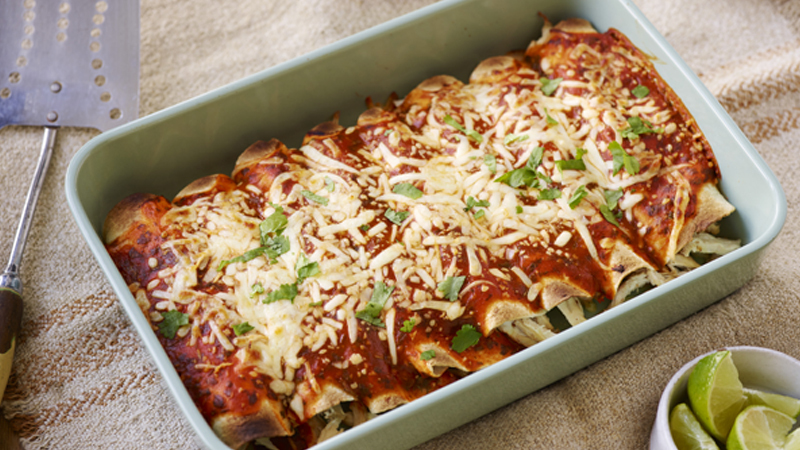 Roll the tortillas around the chicken mixture and place seam side down in the baking dish. Pour the sauce mixture over the enchiladas. Sprinkle with remaining cheese. 4. Bake, covered with foil, for 15 minutes, then remove the foil and continue to bake for 5-10 minutes or until just golden. Serve with lime wedges and extra coriander leaves. • Serve alongside guacamole and soured cream. • Alternatively use Cheddar cheese rather than mozzarella.